I'm such a big fan of Rosemary & Co. and would (and have) recommended them to friends and generally, anyone looking for professional, well priced, high-quality brushes that are delivered with customer service that is second to none. I have for a while now been looking for my 'Ultimate Rigger' brush and had high hopes that Rosemary & Co. would bring that journey to an end. 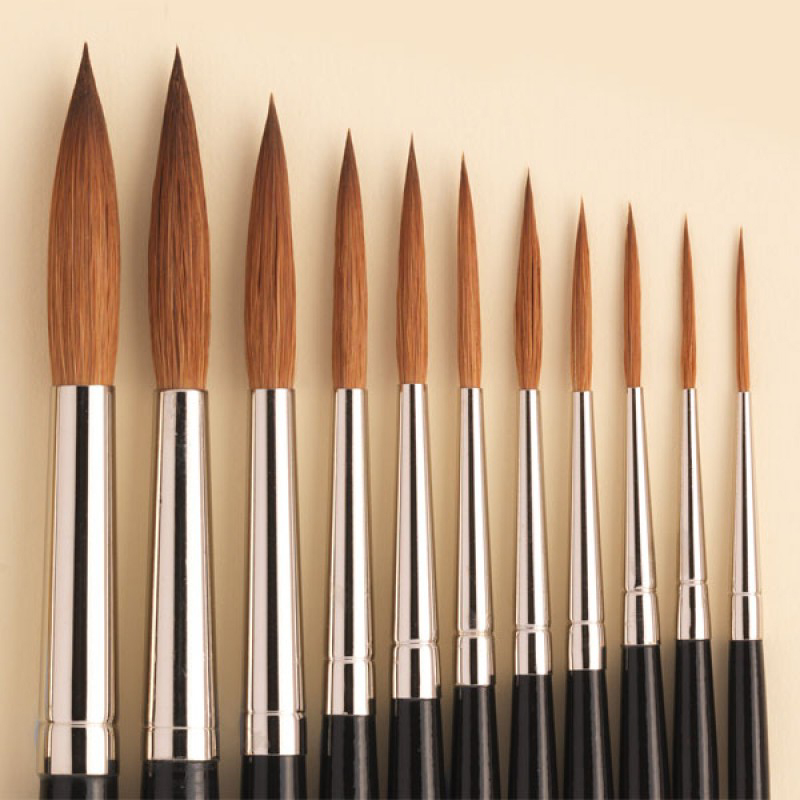 These are lovely brushes and well worth adding your collection as they can be wonderful mark makers. They are quite soft, with little spring, so they have quite a gentle character to them. Nevertheless, you'll find yourself reaching for them time and again.